Why all the hand quilting? I have a very hard time through the holiday's. Husband works retail and the hours and times are crazy. Kids are very far away. 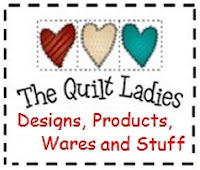 So, I've learned to keep myself VERY busy, I'm working hours on the site here, on a new book "The Ladies" and hand quilting 2 little projects and hand quilting 2012 block of the month quilt, every evening. My mini quilt, I like !